I love winning books, don't you? It looks like I got another vampire series to start (and hopefully love). I'm looking forward to this read (and yes, it's because of the vampires). Thanks goes to The Random House Publishing Group and Goodreads for hosting this giveaway! Watch out Lara Adrian's books can be very hot. 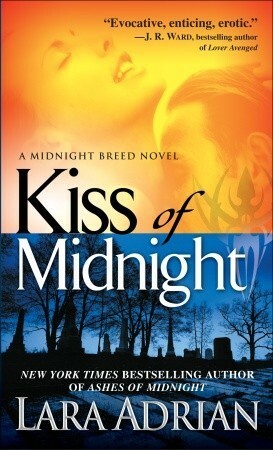 Kiss of Midnight is one of my favorite books. Lara Adrian is so nice. I got to meet her earlier this year. Great stash of books. I really need to get my hands on some of the Stephanie Plum novels. They get great reviews. I hope that you enjoy what you got! I'm only on book four of the Stephanie Plum series so it's all good! I have almost all of them but I'm just slowly working through them. I have not read any of the Stephanie Plum novels but I might have to start C: Enjoy everything! I've heard so many great things about Stephanie Plum, but I have yet to pick up a book by her. My blogmate Kaitlin has read her stuff and loves her! Thanks for sharing, thanks for stopping by, and happy reading! I love the Stephanie Plum Series. I hope you enjoy. 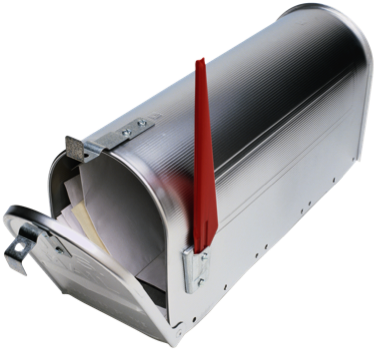 Great Mailbox! I haven't read those books, but I'll have to check them out. These look like some really good books! Oooh, I've not actually heard of either of these books before but they both sound good! Hope that you enjoy them both! Nice haul I really want to give the Janet series a try I keep seeing it pop up! Oh how I LOVE the Stephanie Plum series, you would think that a series that goes for so many books would start to lose steam but nope not this one! I hope you'll enjoy Kiss of Midnight! I couldn't quite get through it, but it wasn't bad. I know so many love the series! Great IMM. Hope you enjoy :) Thanks for stopping by!